This is pretty much how I got it from the OO who claims it had less than 100miles on it. It has a Tange Prestige frame/fork, Deore XT throughout except Ultegra brake levers and barends. Other than getting rid of the knobby tires I made minimal changes to it, although the stock wheels are not present in this pic. Last edited by Bianchigirll; 06-23-12 at 05:43 AM. 1997 Trofeo 52cm. A good friend said "can you find my wife a bike?" If either ever wants to sell, I get dibs. Came to me OEM, 2x9 Avanti with Mirage shifters. 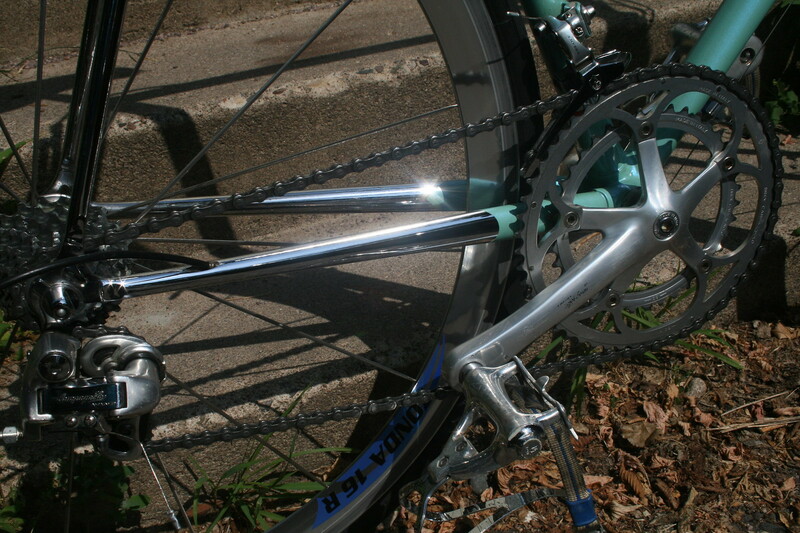 1st swap: Out with the Miche painted crankset, swapped in Veloce. Miche BB, seatpost, headset, cassette. Original Vittoria skins. I've since found the same skins with a 1/2" celeste side stripe. Purchased $350, after swaps, about $400. Had no miles on it when purchased. Last edited by RobbieTunes; 06-23-12 at 07:29 AM. Good thread, can't believe it's taken this long to appear! She's currently mostly disassembled, awaiting my fixation with my mountain bike to break so I will build her back up again. I think it'll be "Summer Road Bike" configuration. Maybe with fresh paint. What a cool bike. I especially like the integral generator mount. 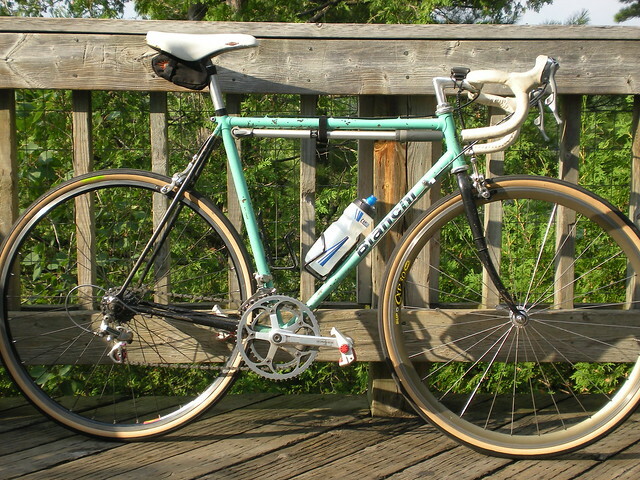 this is my faux X-4 a '88 Trofeo, Bianchi Formula Two tubing by Columbus, Suntour Sprint, Modolo brakes and I swapped out the Bianchi branded Ofmega cranks for some longer Campi ones. Powder coated 80's frame. 60's decals. Campy 10 speed. I love Celeste. 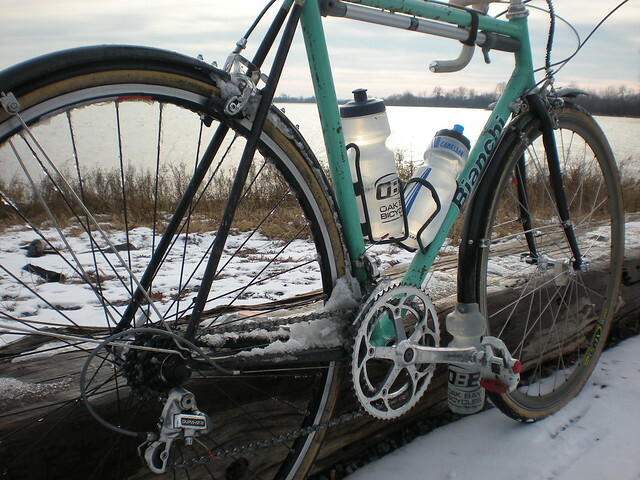 In fact, I've loved Celeste since before I knew anything about Bianchi, per se. 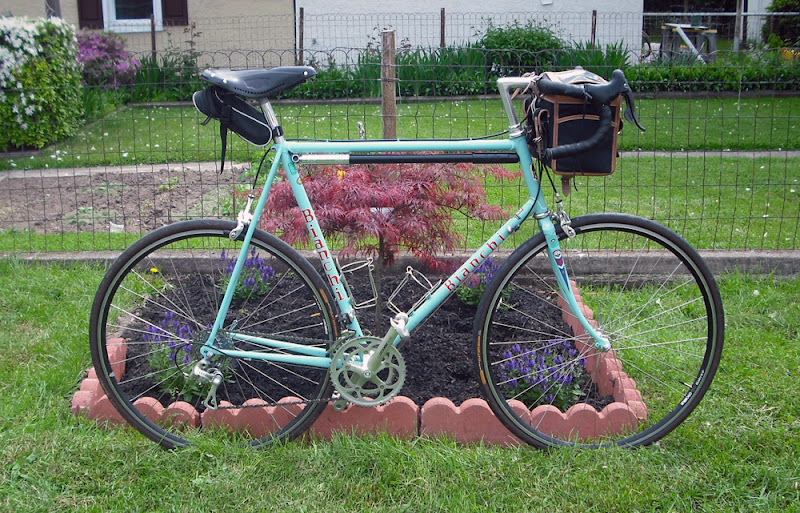 I didn't become very aware of road biking until the 1986 TDF while in 1983 or 1984 I would drool over the Celeste Bianchi bikes at the local Diamondback dealer. 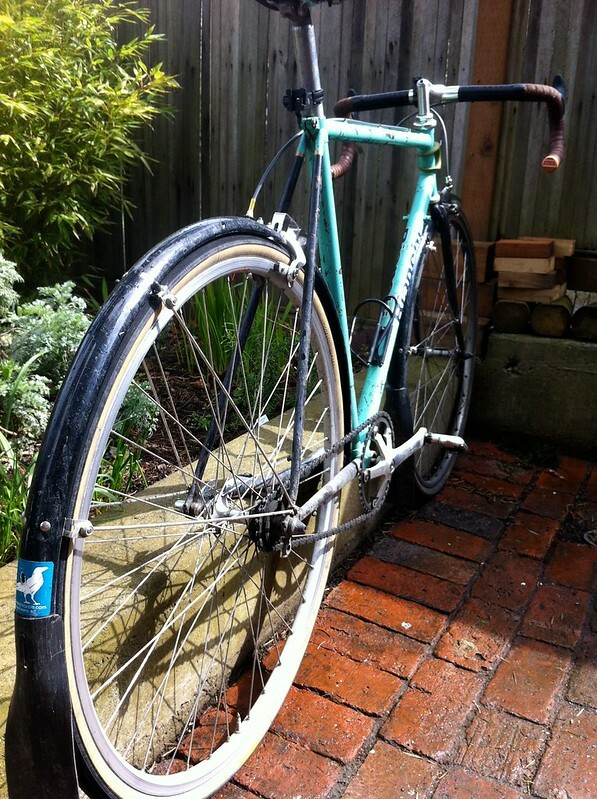 I'm not sure if I prefer black, white or Celeste bar tape so one day, I hope to have bikes with all three on hand. 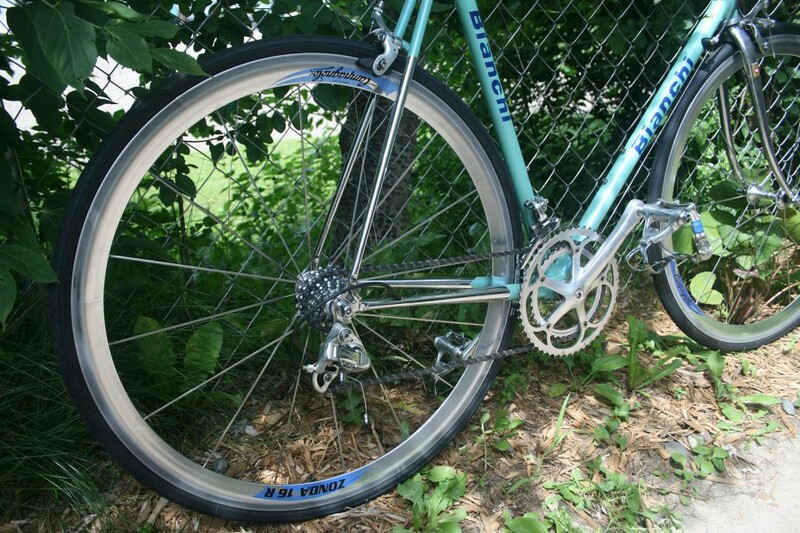 I'd love to have a Bianchi with polished Nervex lug work. 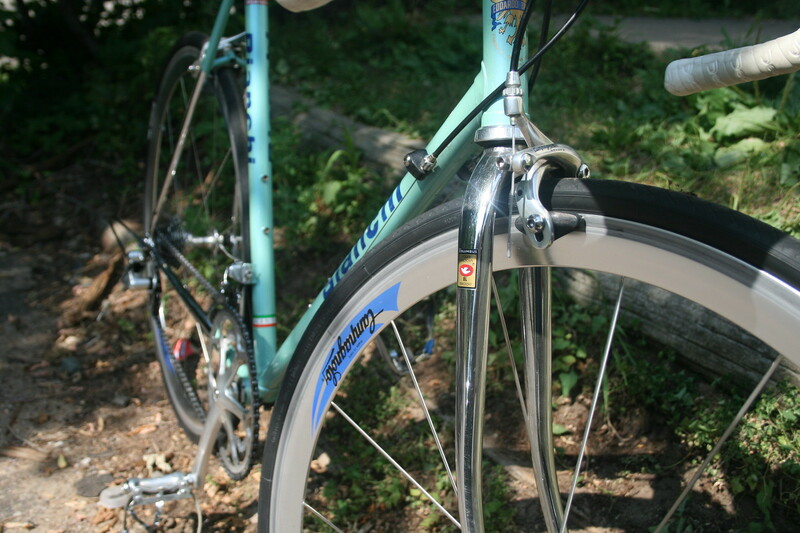 This is my mid-new school, Bianchi Campione. 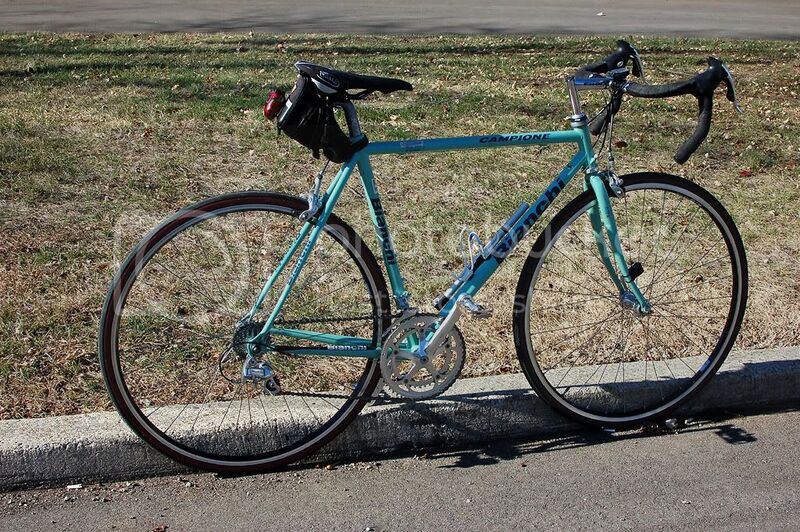 Not 100% sure of the date but it has 8 speed Campy Mirage. Might make a good girlfriend/wife build. My newly acquired Mega Pro Sl, Marco Pantani replica. Bianchi TSX UL Columbus with Campy Veloce and Zonda 16R wheels. Concor seat and Cinelli handlebars. that max one is really something special,brava! Thank You. she is my baby and IMHO the best tube set/frame ever built for a taller rider. I finally got the last piece for my dream build on my bike a C-Record 1st generation cranks. They are mounted on an Athena bottom bracket with the derailleurs needing only slight readjustment. I am very happy with this but may upgrade to a C-Record bottom bracket over the winter. The first picture is a 97/98 Veloce that I sold this summer. The second picture is an 89 Super Leggera that I bought a couple weeks ago. I don't believe in perfection, but this close. Bellissima. Such a nice bike. 50's? I saw one close to yours, but no where near the shape of yours on ebay. Tell us about it. Nice looking. Any idea what the frame is or was? is there a tubing decal left? Which model Athena BB are you using? You need to be careful which BB you use. If my sources are correct there was a '85-86 cranks that required a 116 lenght spindle with an ofset of 3mm to the right. Then an '87-94 crank with a 111 spindle with an offset to the right (I don't see an exact measurement but would assume it is 3mm also). The original Athena, the traditional 'cup and cone' BB has an overall spindle lenght of 116 and the right offset but again neither of the two references show the ammount. Thanks for the compliment. Once my arm recovers from my bike crash I am going to get the Super Leggera on the road and see how she responds. I am anxious to try it out. that color is amazing - does she ride as good as she looks? 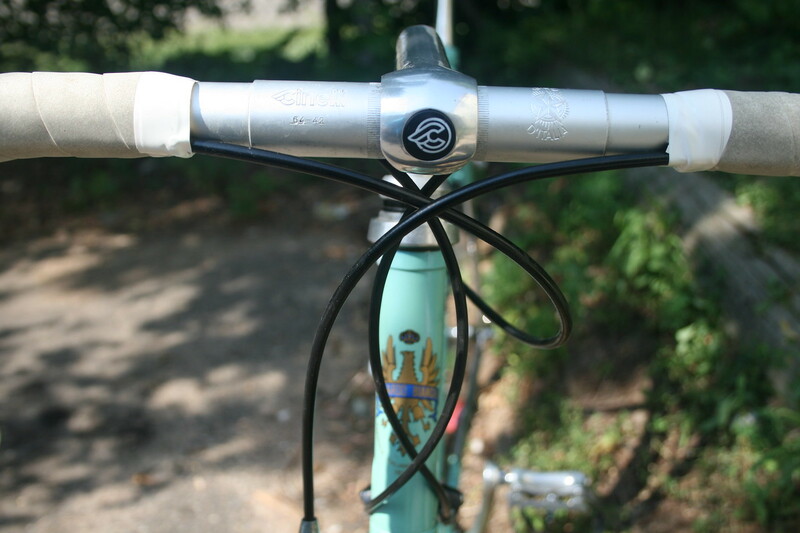 Hi Bianchi Girl the Athena bottom bracket is from 92 I've ridden around 200 miles on it so far with no issues and as I said it is on the spindle in the same position as the Athena crank was. 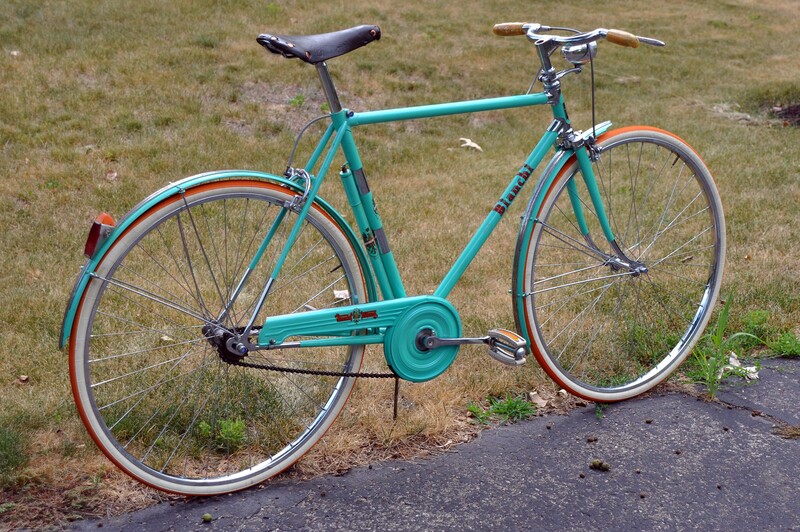 The frame is Tubi Rinforzati Formula one Bianchi cromo molbdeno with a Columbus dove Produzione Columbus. Last edited by callig; 09-15-12 at 11:12 AM.